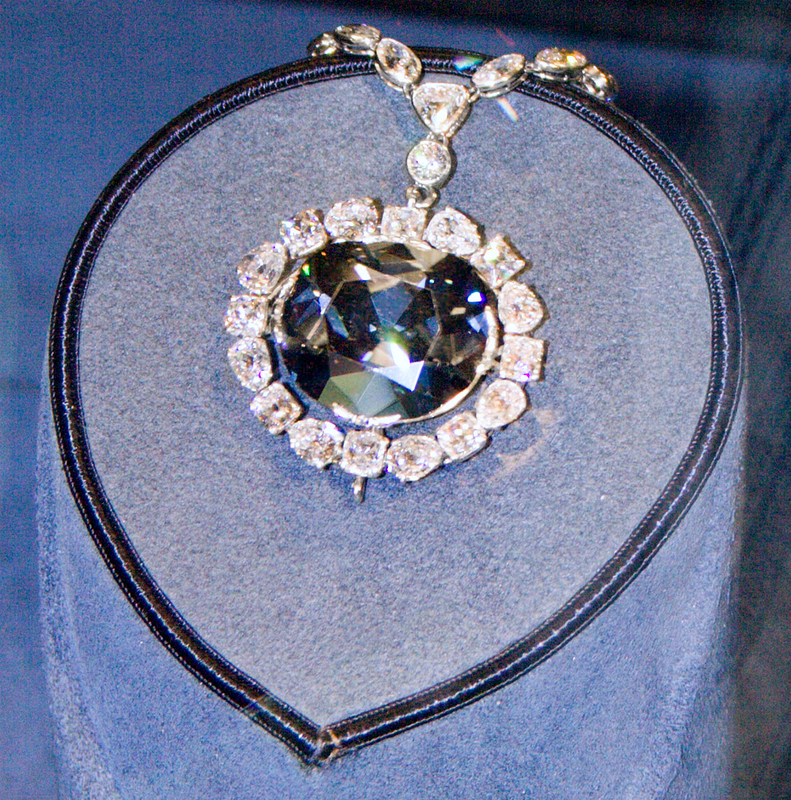 The Smithsonian’s National Museum of Natural History, as you probably know, is the home of the infamous Hope Diamond. This huge, beautiful blue diamond came into the museum’s possession in 1958, after it was donated by Harry Winston, Inc. It’s famous for its size (45.52 carats), its color (“fancy dark grayish-blue”), and its “curse”. But now, the Smithsonian wants to jazz things up a bit. They are planning to put the diamond in a brand-new setting, one of three possibilities designed by the aforementioned Winston jewellers. Which one? Well, that depends on you! You can vote for your favorite of the three settings, on the Smithsonian Channel website. The good news is, that while the winning setting is being made, the diamond will be shown on its own, outside of any setting. According to the museum, it’s never been publicly shown that way before. Cool! The bad news is, we’ve only got three settings to choose from, and to my eye none of them are really a “Dynasty was cancelled in 1989, so vote for this elegant new classic” version. What do you think, DC? Am I too conservative?